Professional quality work is an essential part of our lives. We understand that most people are busy daily and sometimes cannot fully commit to chores and other obligations. 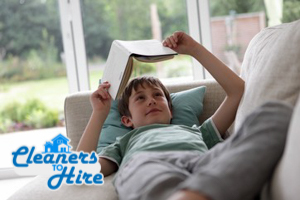 If you are the kind of person busy with all sorts of stuff on a regular basis, then you need to call Cleaners to hire. Our company has all sorts of domestic services ranging from Catering to Removals. One of our top grade assistance, however, is babysitting. If you have nobody else to rely on or are simply looking for the best care for your child, then get in touch with us and book anywhere in London. Being left at home with a young child is no easy task and many people are not up to the challenge. Fortunately we have very skilled individuals with knowledge in many fields. We believe that not only attitude is important but having crucial abilities too. Our workers are familiar with first aid and CPR. As much as you control a child there might always happen something unexpected and relieving the pain and making sure the kid is healthy is the top priority of our babysitters. They are also patient and sensitive. We are reputed as a top quality company and this is because we have associates who do not lose their temper around kids easily. Our professionals will put up with most of your child’s games but we also believe that the person watching over your child should also be authoritative. You can provide us with a list of things and instructions with which we will comply. All parents’ instructions will be fulfilled such as eating strict food, watching TV or playing for a certain period of time as well as brushing teeth before bed. Your rules are our rules and this is what sets us apart from everyone else who offers these kind of services. Trust our impeccable timing and versatility. You can count on us for emergency jobs as well. Not everything can be planned and if you need to step out we are here for you. Feel free to hire us for any day of the week especially during the weekends. You will also be given special offers available in all of London, that would depending on the length of the hire. We also have babysitters for overnight stay. Toys and educational materials are brought by the worker and are included in the price.